What do you do when you have a couple of weeks off work, 542 horse power and a map of Europe? Easy – a road trip to Tuscany and back, home of some of the best wine and cheese you can buy, via some of the best roads in Europe! 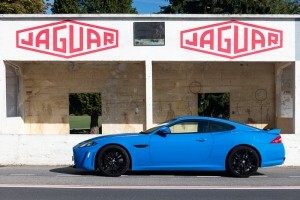 This road trip started back in May 2015 when I bought a car I’d been lusting over for a couple of years – a Jaguar XKR-S. A new job meant lots of weekend work, which was bad for my social life, but great for my car-buying fund! 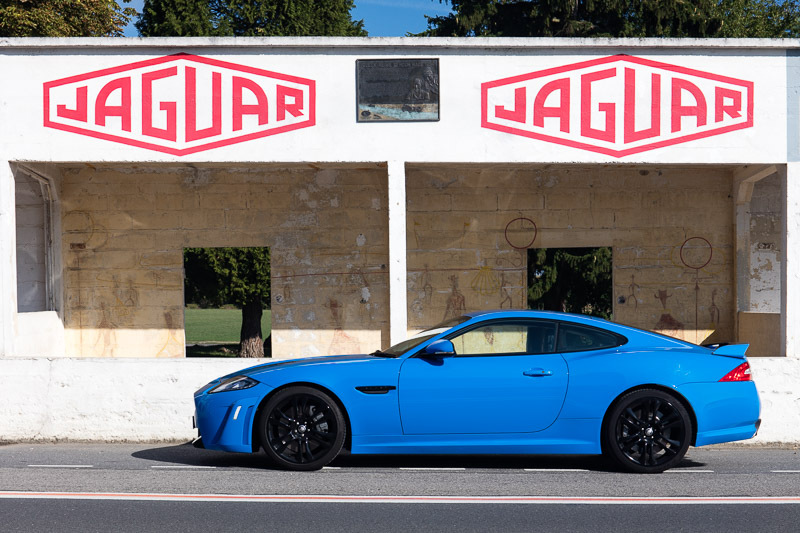 After working 6-7 days a week for many months, I was finally able to consider buying a new car, and I started searching for an XKR-S in my ideal spec. After a few months of searching, I finally found one in the spec I wanted that was within my budget, and a couple of days later I had put a deposit down, then in May 2015 I collected it. The car was amazing, but due to work commitments I hadn’t really driven it much other than a trip to Le Mans in June, so when I had to take 2 weeks off work I immediately decided to plan a road trip – just me, my car and my cameras (a Canon 5DS R and Sony RX100 Mk III). I had a few other things planned during my fortnight off work, so ended up with 8 days available for my journey and I decided that Tuscany would be a good destination. It was somewhere I’d been before a few times, and the beautiful scenery means it is one of my favourite places in the world to visit. 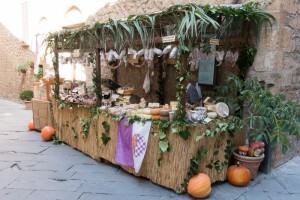 The fact that it was also the home of some of the best Italian wine and cheese was an added bonus! I began planning my route in June, and spent many hours with my atlas and Google maps perfecting it. 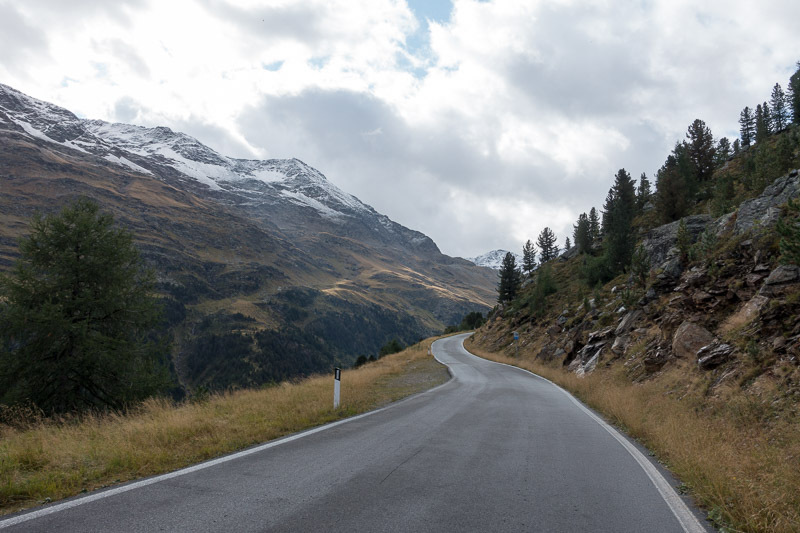 I didn’t just want to head to the obvious Alpine passes, but wanted to also spend some time driving roads that weren’t quite as popular, and visiting places that meant something to me. The basic gist of the route was to head to Reims after work on Tuesday night, stop off in a cheap hotel and then start the trip with some photos in the pits of the old Reims motor circuit. 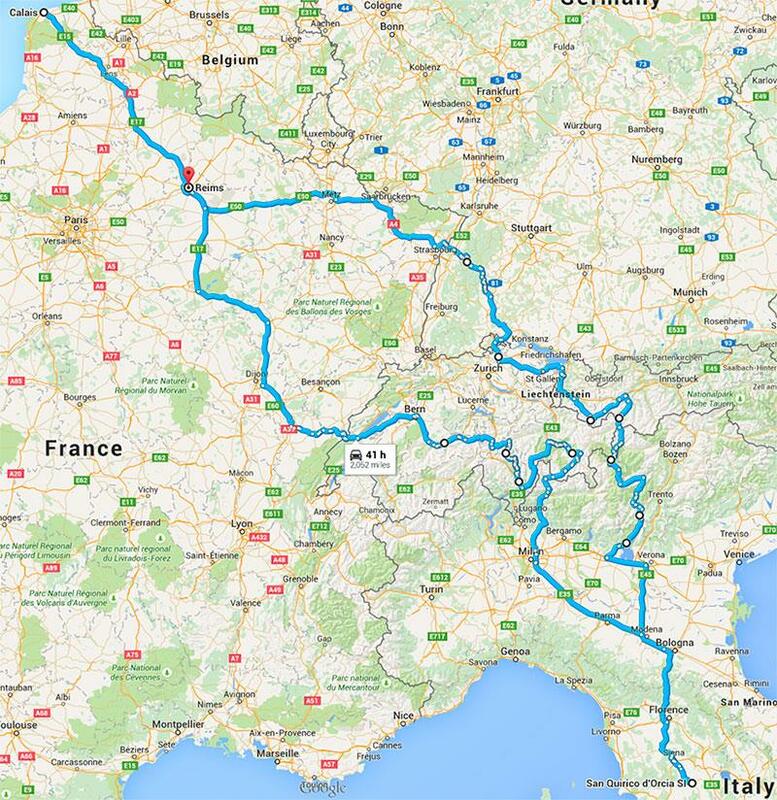 I would then head East into Germany via the Voie de la Liberté, and then head South towards Switzerland through the Black Forest before stopping overnight in Winterthur. 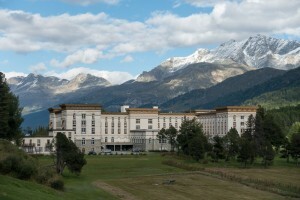 The following day would be a drive through Austria via the Silvretta Pass and then up and down the Stelvio Pass. After an overnight stop in Bormio, I would then head to Tuscany via some more passes, and then down the West side of Lake Garda. I managed to finish work earlier than usual, and at 5pm I shut down my laptop, grabbed the few items I hadn’t already packed in the car and headed out! I was keen to get on the road promptly in case there were any delays due to rush-hour traffic, however I needn’t have worried as around an hour later I arrived at Folkestone. I had intentionally planned my trip to be after the school holidays had finished to avoid the crowds. 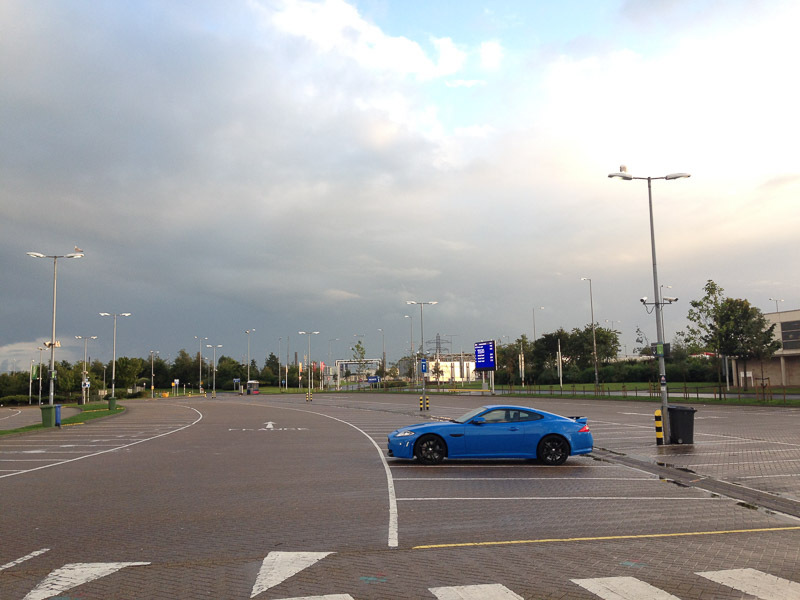 However I wasn’t quite expecting the Eurotunnel car park to be quite as deserted as it was! I grabbed a quick bite in Burger King, and waited to board my train. The rest of the journey to Reims was uneventful, and I checked in to the at the Ibis Tinqueux hotel at around 11:30pm looking forward to the morning, and getting my trip properly underway. 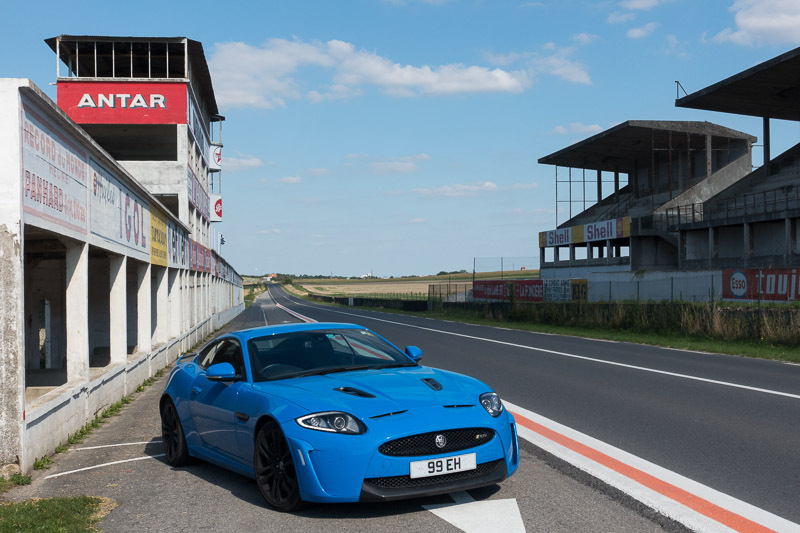 After a quick shower and breakfast, I headed straight over to the pit lane of the old motor racing circuit which is located on the D27 towards Gueux. 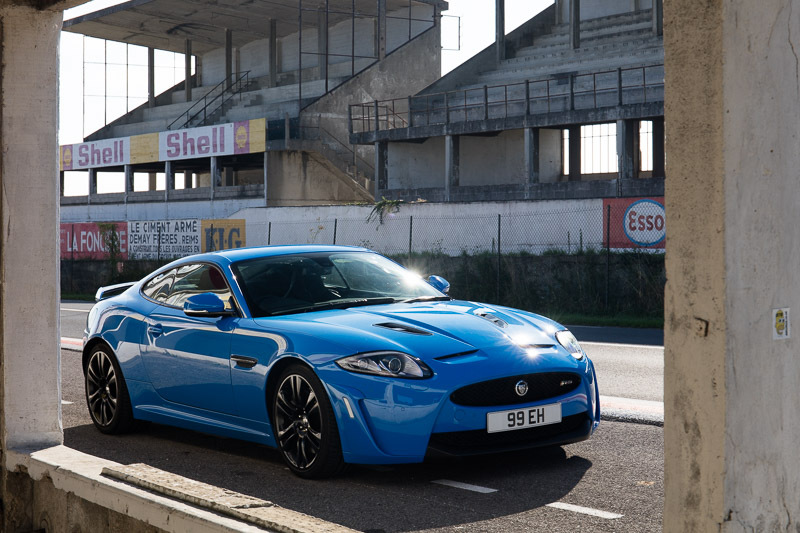 I had visited the pits of the old racing circuit at Reims a few times before, but that was always either a flying visit, or with a group of other people so I hadn’t had any opportunities to spend some time getting some decent photos there. I’d done a bit of planning before my trip, and had some ideas of the photos I wanted to take. I parked up, unpacked my camera, and then spent the next 90 minutes taking various photos. I was very pleased with the results – the light was in roughly the right place at that time of the morning, and there wasn’t too much traffic to disturb me. I then packed my camera away, and set off back towards the town centre, and out the other side to head east. During the research for my trip, I had seen photos of large pillars at the side of the road, and was curious as to what they were. I discovered that they were marker posts, positioned every 1 km along what is called the Voie de la Liberté (Liberty Road). This is the route followed by George S. Patton’s 3rd Army after D-Day, during the liberation of France. It begins at Utah Beach in Normandy, and ends in Bastogne in Belgium, and passes through cities such as Reims, Verdun and Metz. In total, there are 1146 marker posts. 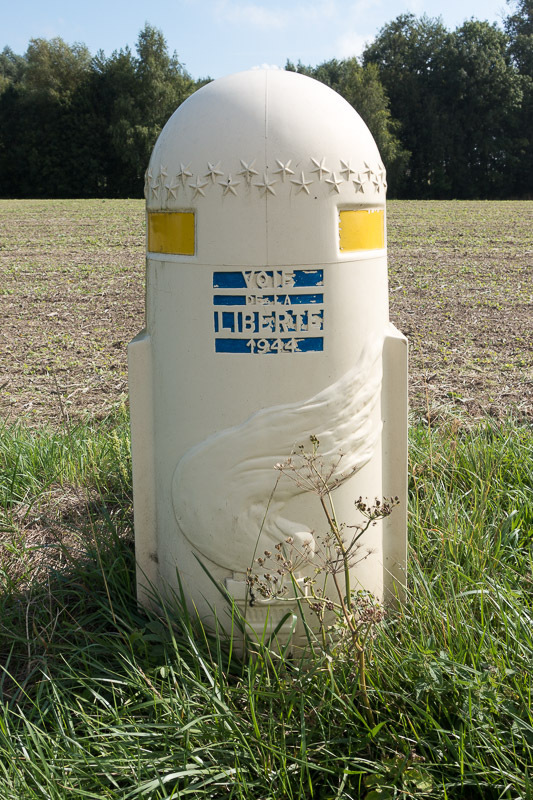 The design of each one is symbolic – with the Flaming Torch of Liberty emerging from the sea, and along the circumference of the top there are 48 stars which represent the (then) 48 United States which took part in the Liberation of France. It was very thought-provoking seeing them, and during a brief stop to take a photo of one I paused to reflect on the sacrifices made during WWII that meant I was able to make this journey. 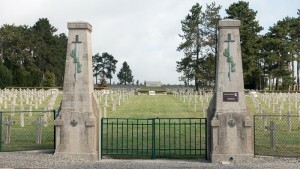 I also stopped at the National Necropolis Aubérive, which is located next to the D931 a few miles outside Reims. This is just one of a number of military cemeteries in this area for soldiers killed during the two World Wars, and this one in particular is for soldiers killed in the Battle of Champagne from 1914 to 1918. Again, it was hard not to think about the sacrifices made all those years ago, which have resulted in the freedom we enjoy today. I wanted to avoid motorways as much as possible, so my route took me along the D931 out of Reims, and then joined the D3 just after Valmy. 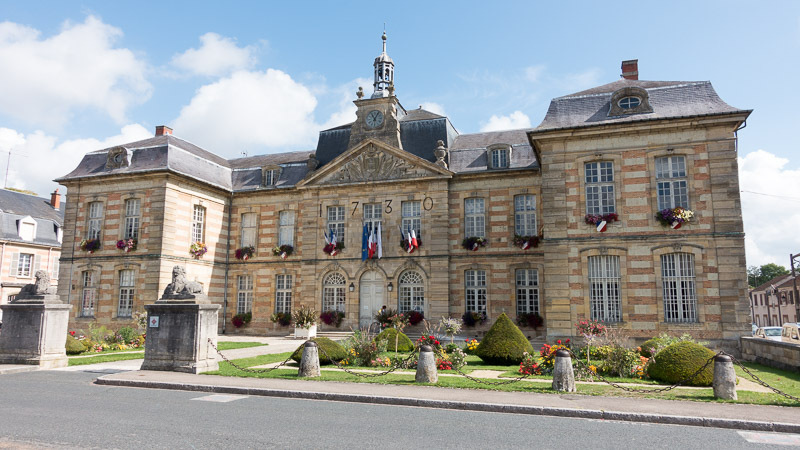 It was a relaxing drive through some lovely French towns, including Sainte-Ménehould which has a rather impressive Town Hall. The D3 became the D603, and I headed further east. I wanted to pass through Verdun, as it was one of the battles I remembered from history lessons at school all those years ago. Once reaching Verdun, I decided to join the A4 motorway to make up some time as I’d spent longer than I’d planned in the pits at Reims, and continued towards Strasbourg. A few miles later, I was crossing the border into Germany, and on the B500 heading south to the Black Forest. I’d been to the Black Forest quite a few years before, and remembered some great twisty roads up through the trees. This time however I was a bit disappointed. I’d reached Baden-Baden in the mid-afternoon, and traffic was starting to build. It was a nice enough drive to Freudenstadt, but wasn’t as good as I had been expecting after reading various glowing reviews. I continued south on the L405, and it was almost time to enter my final destination for the day into the Sat Nav. 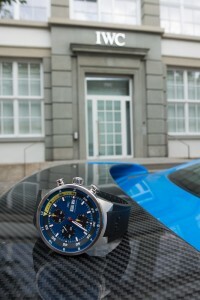 However I had one more place to visit, which was the IWC watch headquaters in Schaffhausen. I’m lucky enough to own an IWC Aquatimer, and as I was in the vicinity I thought it would be nice to stop off and visit the place where my watch was made. As it was quite late in the day, it was too late to visit the museum but I did manage to get a quick photo of the watch outside its birthplace. A few strange glances later, I was back on the road and heading to my hotel for the night – the Ibis Budget in Winterthur. There was a slight issue when checking in, as apparently I had already checked in earlier, and someone else had been allocated my room! It turned out that rather than having a clone, it was just a case of the hotel receptionist mis-hearing someone with a name that sounded similar to mine. Despite rain being forecast, I set off from Winterthur in the dry, although it was quite overcast. As I entered Austria it did begin to rain however, and as the Alps came into view their tops were covered in cloud. Not ideal conditions for heading up my first Alpine pass of this road trip! I wanted to drive the Silvretta Pass, as this would take me through Ischgl – a ski resort that I have skied at a number of times, and I was curious as to what it was like in the summer (not that the weather was very summer-like at this point!). The Silvretta Pass is unusual amongst Alpine passes in that you have to pay a fee to go up it, so €15 was handed over, and off I went. 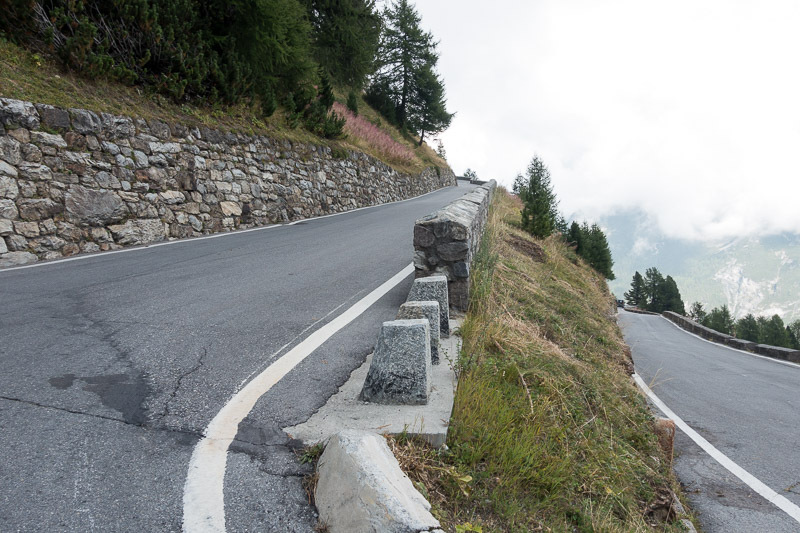 Once I started to climb, I was quickly in the clouds which made the many hairpin bends a bit more interesting – especially as there wasn’t much in the way of protection – but on the plus side it wasn’t raining so the roads were still dry. I had hoped to get some photos of the lake at the top called Vermuntstausee, however the very low cloud cover meant it wasn’t even possible to see it. As I reached the peak and started to head down the other side, the clouds started to clear and uncovered some stunning views! It was very tempting to take advantage of this awesome road stretching into the distance, but the inquisitive cows roaming free meant you had to be a bit cautious not to run into any of them. Not too long later, I arrived in Ischgl where I parked up and went to grab some lunch. I’ve skied in Ischgl with friends for the previous 6 years, so I’m very familiar with the place, however it was very strange being back there alone and in the summer. 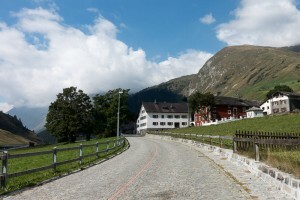 After a wander around the almost deserted town, I got back in the car and headed east to Landeck, where I turned right onto the B180 and headed south to Italy where the road becomes the SS40. 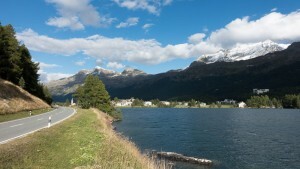 This road is interesting in that it goes past a place called Curon Venosta, which is a small Northern Italian town that was flooded to make way for an artificial lake. 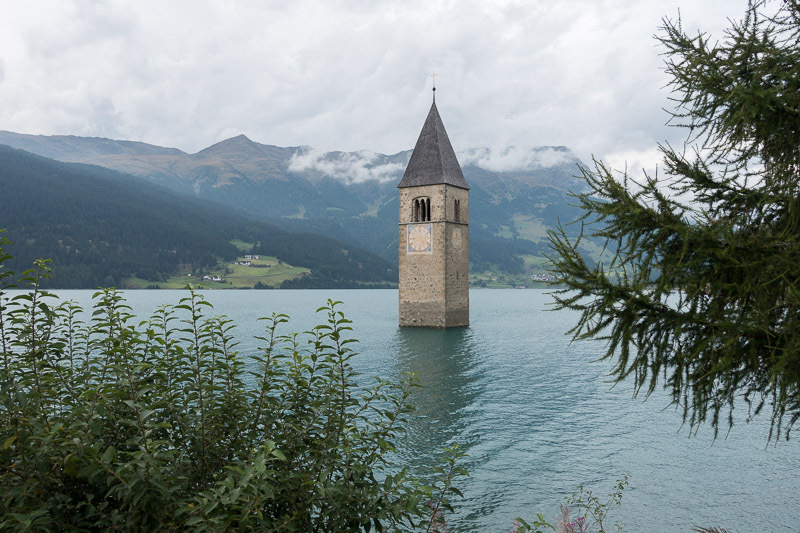 Pretty much the only sign of the old town is a semi-submerged bell tower, which is all that can be seen of the old church. 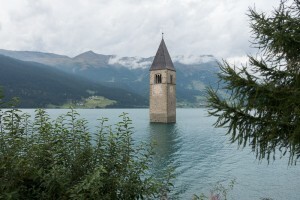 In winter, when the lake freezes you can even reach the tower on foot. 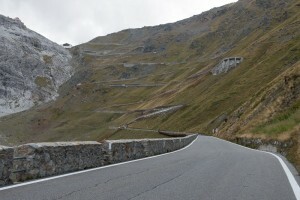 I’ve done a fair bit of driving in the Alps, but have never done the Stelvio Pass. I felt I needed to experience it for myself at least once and tick it off the list, so continued south on the SS40 until Spondigna, where I turned onto the SS38 and followed the signs to the Passo dello Stelvio. 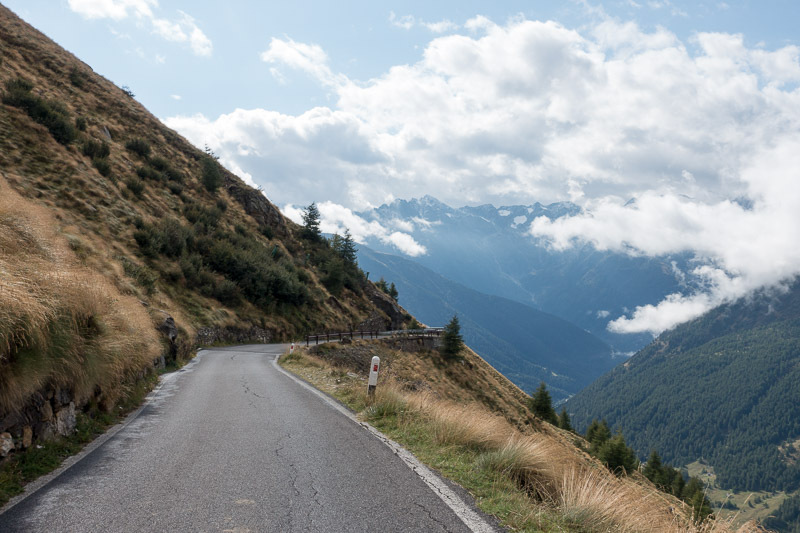 At this point I was stuck behind a very slow learner driver, and was getting concerned that their lesson would take them over the Stelvio pass at walking pace, however fortunately they turned off shortly before we got there. Before long, I hit my first hairpin bend. Then another, and another – and it didn’t take long before I lost count of how many I’d gone round! They were pretty tight and narrow, and I was quite worried about my car grounding out and damaging the not-so cheap carbon fibre nose splitter. Fortunately my fears were unfounded, and eventually I made it to the top – splitter intact! There were a surprising number of cyclists peddling hard to climb up the pass (crazy! ), and a fair few motor bikes too. I was surprised to also see buses going up and down the pass, which caused me to breathe in and will my car to be a few inches narrower a few times! 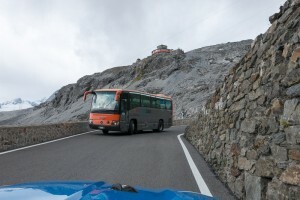 It was bad enough doing all those hairpins in a car, so I don’t envy those bus drivers! Once at the top, I had to take the obligatory photo but I resisted the urge to buy any souvenirs and headed down the other side towards my hotel for the night in Bormio. The route down was easier than the way up – the road was generally wider and the bends were less frequent and tight. Definitely more fun on the Bormio side than the Trafoi side! 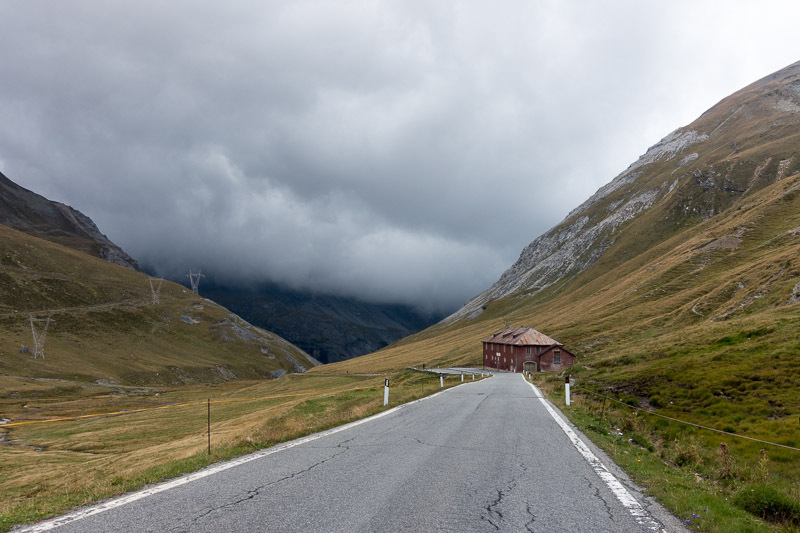 Despite the clouds, the weather stayed dry until moments after I had pulled into the car park of my hotel in Bormio, and it started to rain just after I had checked in – perfect timing! Fortunately for me, the hotel was located right next to a petrol station. Unfortunately for me however, my room overlooked it but as I’d be heading off early the next morning it wasn’t the end of the world. Luckily the rain from the previous evening had died down, and I was greeted by blue skies partly covered by a few clouds as I departed Bormio. 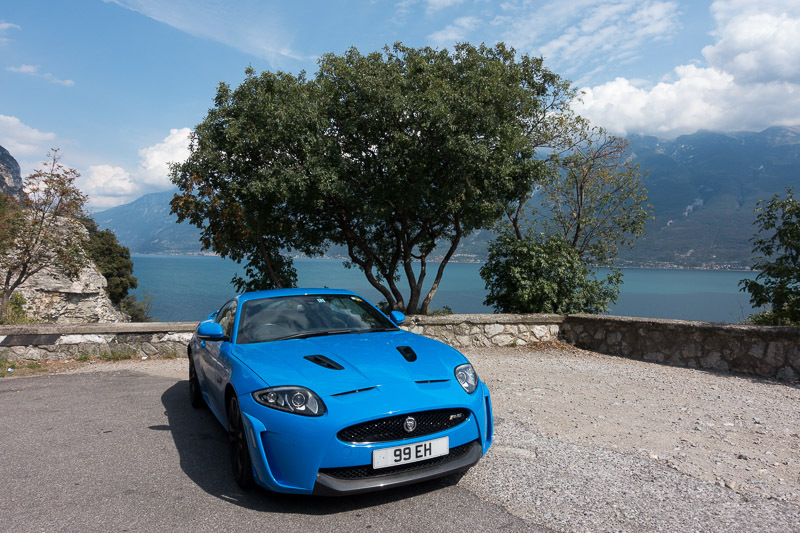 Today was going to be a mixture of more Alpine passes, followed by a slog down the motorway to Tuscany so I was keen to make the most of the more enjoyable roads in the first part of the day. 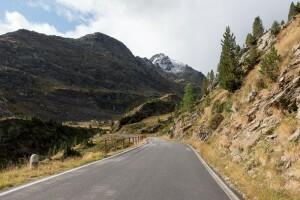 I headed east along the SP29, and began my climb up towards the Passo di Gavia. I didn’t know much about this pass, so was looking forward to seeing how it compared to it’s more famous neighbour, Stelvio, just a few miles away. The snow-capped mountains in the distance gave a clue as to how high I would be driving (at 2621 metres, it is Europe’s 10th highest paved mountain pass), and as the road climbed higher, it became quite narrow in places. It was also rather exposed at times too, with some sections of the road not having much in the way of protective barriers, which focused the mind a little. The view however was amazing. The weather was good, although quite cold due to the altitude, and the road was still a bit damp in places from the overnight rain. The road was also quite rough, and badly paved compared to other passes. As I got closer to the summit, the trees thinned out, and the landscape became more desolate and rugged with a small stream meandering through the rocks. At the top of the pass, there is a large monument which is dedicated to the victims of the Battle of San Matteo in 1918, which until quite recently was regarded as the highest battle in history. 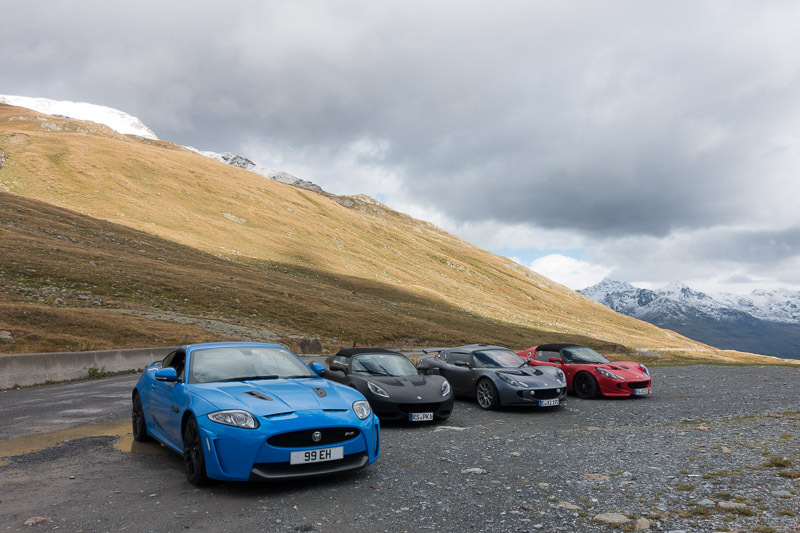 Until this point I hadn’t really seen any other traffic, but at the top there were 3 German registered Lotuses taking a quick break from their drive. The drive down was quite nerve-wracking as it is very narrow in places, with some stretches that are only just wide enough for one car. Fortunately it wasn’t very busy, but there were a few occasions when myself or the other car had to reverse back to reach a passing space – not what you want when there is a steep drop to the side and no barrier! So it was quite a relief when the road started to widen up towards the bottom and I didn’t have to worry about exchanging paint with an oncoming car. The next stretch up from Ponte di Legno to Lago di Santa Giustina was fairly nondescript, and I took the SS43 south towards Lake Garda. This was a pleasant drive, although quite busy and slow so it was nice to relax and take in the scenery. I then turned onto the SP421 at Maso Milano and this was an awesome road! 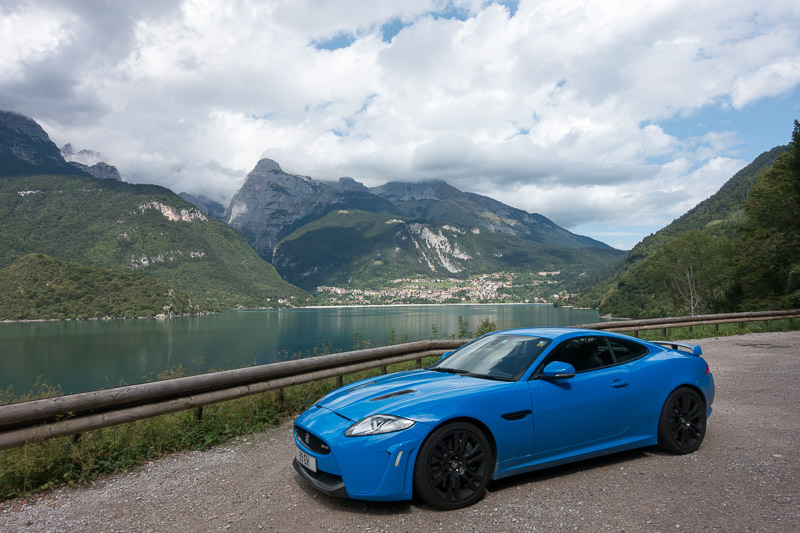 There were some really nice stretches to enjoy the car, and some fantastic scenery – especially the stretch along Lago di Molveno. I then decided to follow the SS45bis down the west coast of Lake Garda, however this was very frustrating as it was a single-lane road for almost the whole length of the lake. It was very busy though, so although the view was nice in places, I did regret not taking the faster route via the motorway on the opposite side of the lake. Once I reached Brescia, I joined the A4 motorway, then the A22 just before Verona towards Modena and then followed the A1 south to Tuscany. I’d managed to time this part of the trip at the worst possible time – Friday evening rush hour, and had to put up with heavy traffic for most of the journey. The journey was made more “entertaining” by a few drivers desperate to live up to the Italian driver stereotype by sitting inches away from my rear bumper with their indicators and headlights flashing – despite there being a solid jam of traffic in front. The icing on the cake however was some lunatic who was trying to take a photo of my car on his phone, using both hands. This obviously didn’t leave him with any hands free to steer his car, which became a bit of an issue when the motorway started to curve to the right. I was convinced I was going to see an accident unfold behind me, but somehow he managed to swerve away from the barrier at the last moment, and avoided hitting it by mere inches! The rest of the journey was pretty uneventful after this, and I arrived in San Quirico D’Orcia just as the sun was setting. I had arranged to stay in Tuscany for 3 nights, which gave me a bit of time to explore the area and have a bit of a break from driving up to 10 hours in a day. 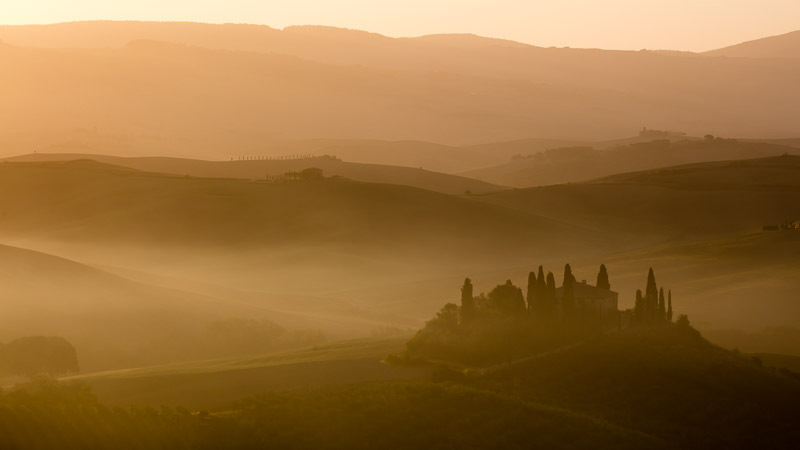 I’d been here before a few times, and loved the area – some of the best Italian wine and cheese comes from towns within a few miles of where I was staying, and there is some stunning scenery too. I had planned to do some photography while I was staying in Tuscany, however the weather forecast for Saturday wasn’t great so I decided to get my shopping out the way. 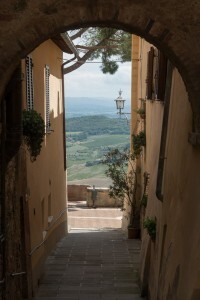 I first headed to Montalcino to stock up on some Brunello di Montalcino, and headed to the town centre. Unfortunately, small Italian towns aren’t designed for low-slung sportscars with expensive carbon splitters, so I gave up on trying to find a parking spot and headed to a wine shop I’d visited previously, which is just on the road heading out of town. 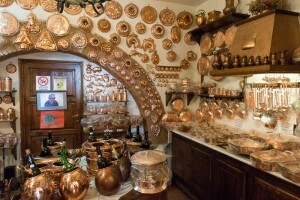 The next stop on my itinerary was Montepulciano, where I was keen to visit a store called Bottega Del Rame, who specialise in handmade copper products such as saucepans. Again, it was clear that the Jaguar XKR-S wasn’t the most suitable car for negotiating the narrow streets with tight turns and steep slopes, and I ended up doing two circuits through the centre of town trying to figure out how to escape to safety! Much to the delight of myself and the locals in battered old Fiat Unos who were getting frustrated at being stuck behind the foolish tourist in his flash car, I eventually found a car park that I could get into. Luckily, it was also the nearest carpark to the copper saucepan shop so I wandered up to take a look. I love Montepulciano, and it’s such a pleasure to wander the twisting streets, catching glimpses of the beautiful Tuscan countryside through small alleyways. Being situated on top of a hill, you get some amazing views from various places around the outer edges of the town. I ended up buying a couple of pans from the shop, and headed back to the car just as it started to rain again. 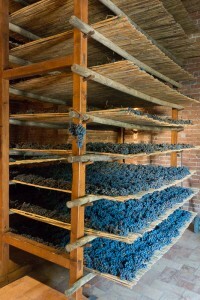 My next stop was the Avignonesi winery just to the north east of Montepulciano. I had booked one of their wine tours before I came away, so got there early and had a delicious lunch in their garden while waiting for the tour to start. 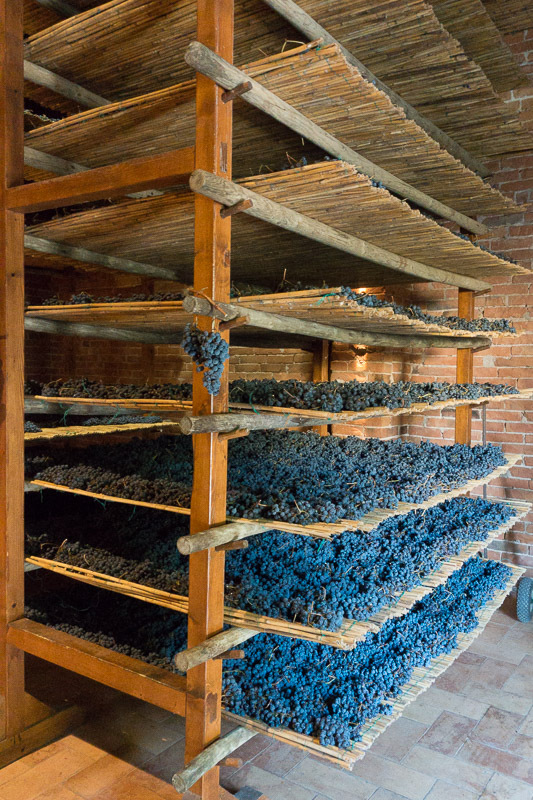 It wasn’t the most in-depth tour I’ve experienced, and didn’t cover their well-know Vino Nobile di Montepulciano wines as these are produced at one of their other locations, however it was interesting to see how they harvest and make their Vin Santo dessert wine. 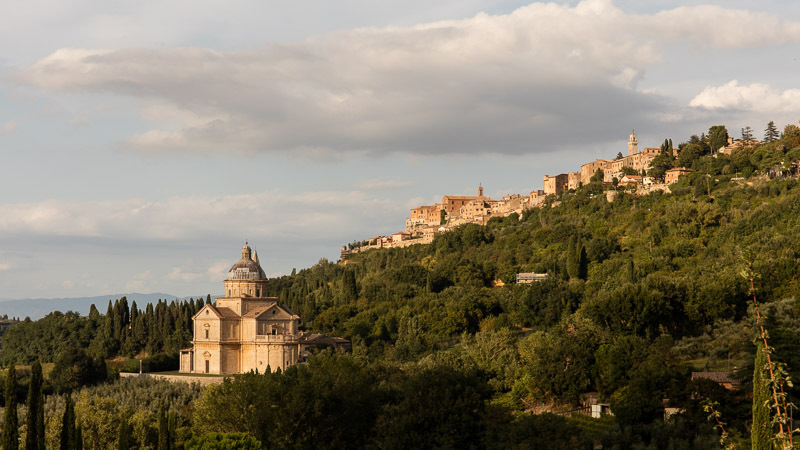 After tasting a few of their wines, I purchased a couple of small cases and headed back towards Montepulciano. It was late afternoon by this point, and I wanted to get a photo of the town as the sun started to set. I found a parking space (not that easy when you’re limited on ground clearance!) and grabbed my tripod. The best spot I found was right on the roadside, so I spent the next half hour with one eye on the scene, and the other watching out for cars and trucks. It didn’t turn out quite as I was hoping, but I was happy with the result. The weather forecast for Sunday was much better, so I set my alarm clock for a very unsociable time, and bleary eyed, I wandered up the road from the hotel in the dark. I set up my camera and tripod by torchlight, and waited in silence for the sun to start rising. Despite wondering why the hell I was getting up at 5:30am on my holiday, it was a great experience to watch the sky get brighter, and finally see the sun rise over the mist-covered hills below me. Even though it didn’t really give me the photo I was hoping for, it was still a privilege to experience a sunrise in such a beautiful location. After breakfast and a short nap back at the hotel, I set out to explore some of the local roads, and ended up driving to Radicofani. 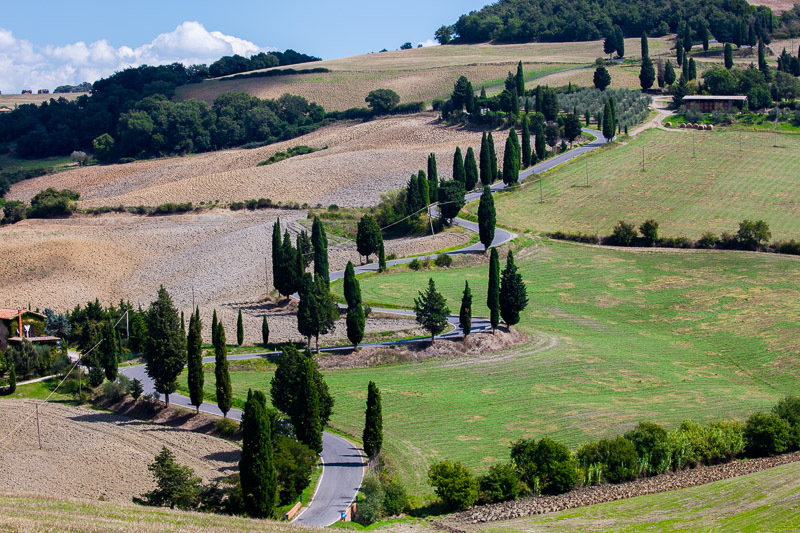 It was an enjoyable drive, with some lovely scenery – including a couple of stops to take photos of some typical Tuscan twisty roads at La Foce and Monticchiello. I’d already got the wine sorted, so the next thing I needed was cheese! Just a few miles from my hotel was the town of Pienza, so I stopped off on my way back. 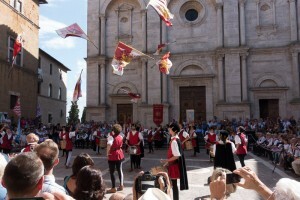 Pienza is well-known for a cheese called Pecorino. This is a hard cheese made from sheep’s milk, and Pienza is full of shops selling a multitude of different varieties. 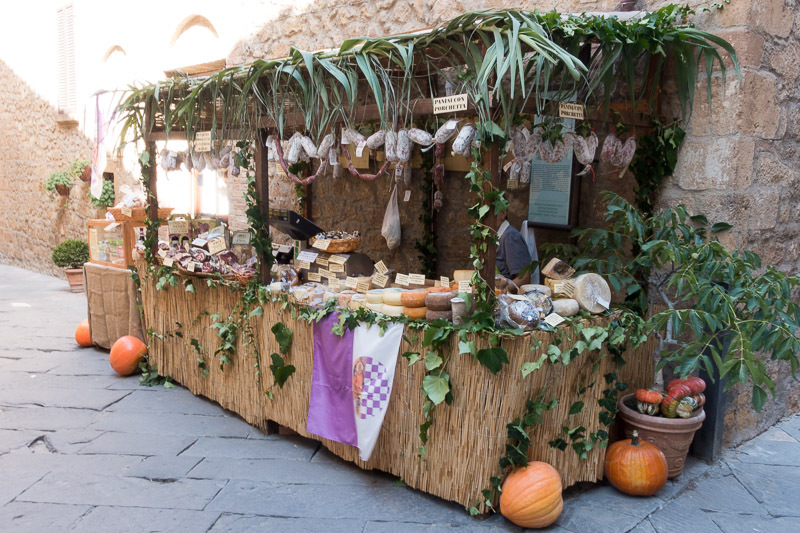 I was slightly surprised at how busy it was, and initially thought it was just because it was market day – as the streets were full of various stalls selling mostly cheese, but some were selling other typical Italian produce like olive oil and wine. It turned out that it wasn’t just market day, but by sheer luck I had arrived during the Festa Del Cacio Pecorino (Pecorino Cheese Festival). 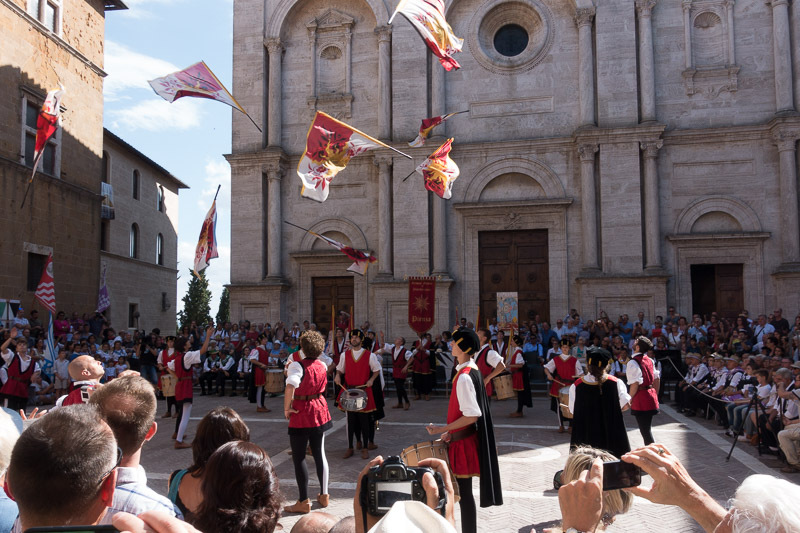 This is held on the 1st Sunday in September, and includes the Gioco del Cacio al Fuso, where contestants try to roll cheeses as close as possible to a post in the middle of the piazza. After watching a marching band pass by, who then gathered in the main square watched by a large crowd, I bought a small cheese and some olive oil and headed back to my hotel content that I had successfully obtained both items on my shopping list! Monday morning saw me reluctantly bidding farewell to Tuscany, and heading north up the A1 motorway. Fortunately, traffic was much lighter than on Friday evening, so the journey wasn’t as stressful although the whole motorway network seemed to be covered by a solid stream of lorries. I was keen to get back into the Alps, so after several hours of driving, it was great to see the mountains appear in the distance. The trip was pretty uneventful, although the Swiss customs took a great deal of interest in my car, and spent several minutes examining my documentation. 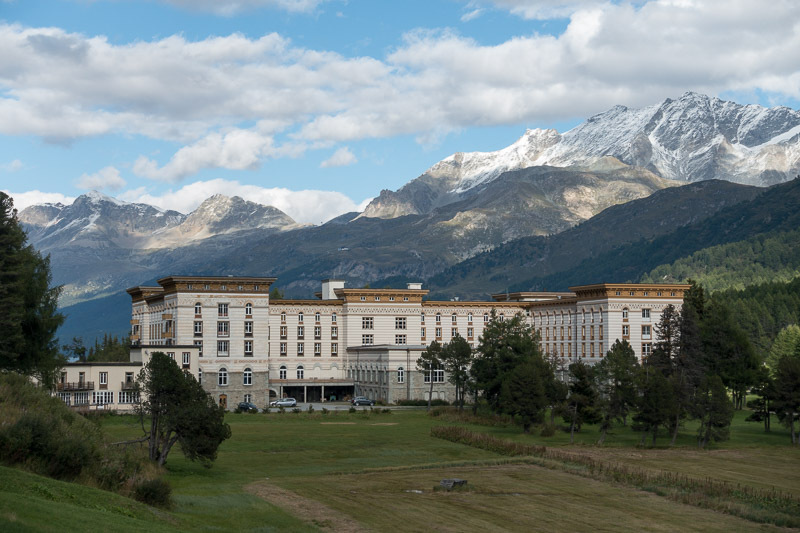 Once they had waved me on my way, I headed up the Maloja pass, and past the impressive looking Maloja Palace hotel which overlooks Lake Sils. 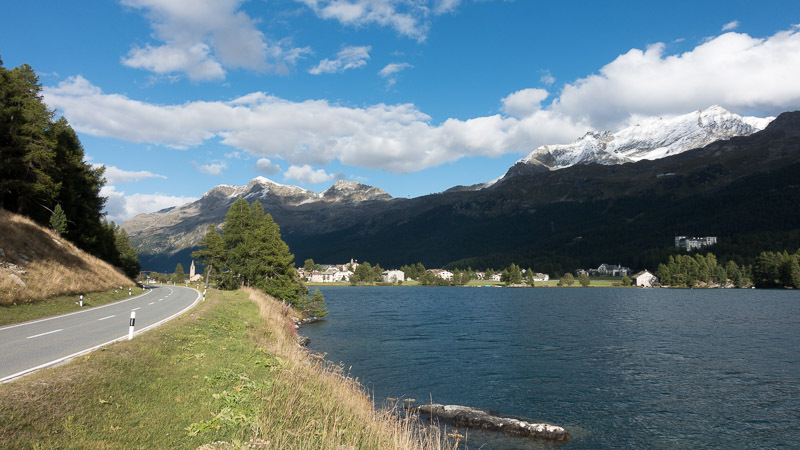 After hours of Italian motorways, this stunning scenery was a very welcome sight, and soon afterwards I was pulling up at my hotel for the night, in St Moritz. I find it quite strange being in a ski resort during the summer – they are almost like ghost towns, and wandering around searching for somewhere to have dinner I felt like I was the only person there at times. 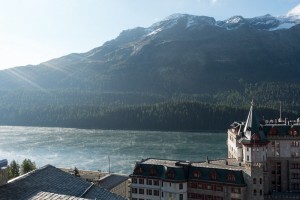 My hotel had a great view overlooking the lake, and it was a great start to the day to look out the window and see the mist sweeping across the lake as the sun started to warm the cold water. 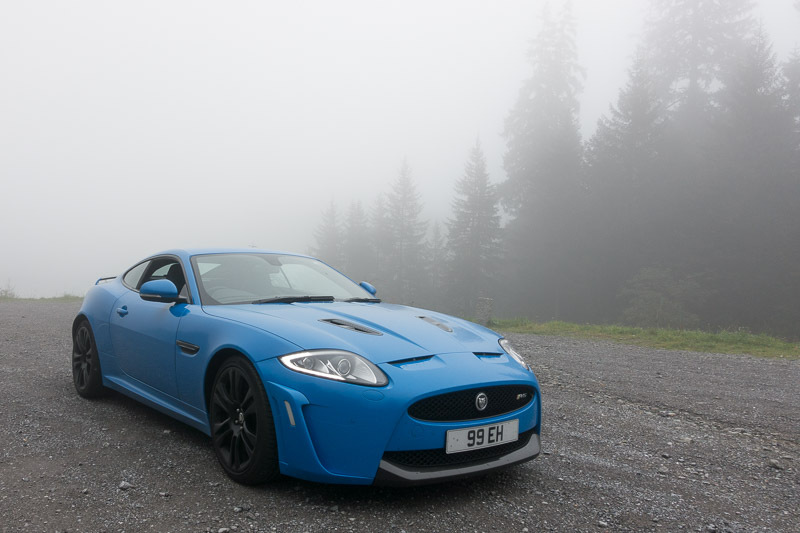 After an early breakfast, I was back on the road for a long day of driving through the Alps. I had planned the route to take in as many passes as I possibly could, and I was really looking forward to today’s drive. 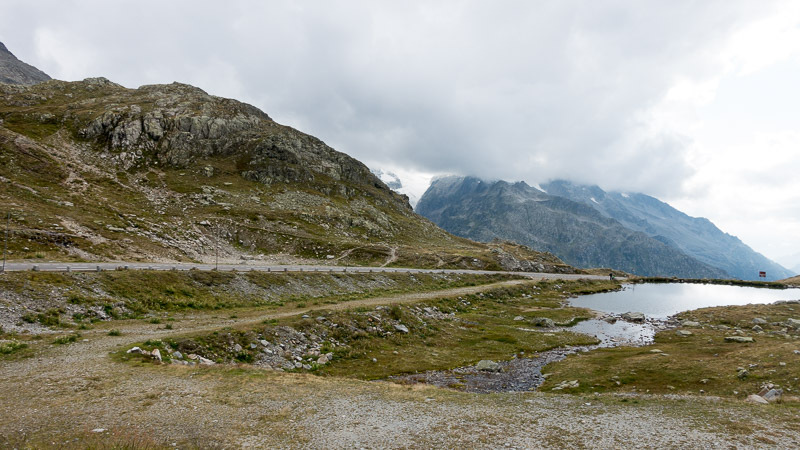 The first pass of the day was the Albula Pass, so I drove north-east for a few miles before taking a left at La Punt-Chamues-ch. The start of this pass was quite narrow, but it widened up after the first few bends. 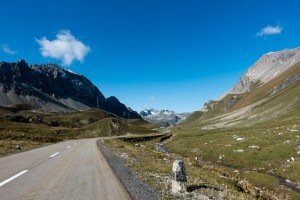 I really enjoyed this pass – the road was well-maintained, relatively wide and had good visibility. The view was great – wide open expanses of grass-covered mountain, with a lake at the top too. Like the drive up, the other side also became quite narrow in places but overall this was an excellent pass – one of my favourites! I continued on towards Thusis where I turned south and joined the “13” road (not to be confused with the A13, which is the wider, faster one that mostly runs alongside). My route would take me through Hinterrhein, and up the San Bernardino Pass. The drive along the 13 was quite narrow in places, and at times I wished I was on the wider, easier option – however that would have meant missing out on passing through some lovely Swiss villages with cobbled streets. It was almost like being back home in Wapping! This whole road was great, and the section between San Bernardino and Pians San Giacomo was excellent. I continued on towards Arbedo-Castione where I joined the motorway north for a short stretch to save a bit of time that I could spend on better roads further up the Alps. 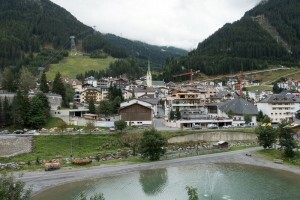 Once I got to Biasca, I turned back off the motorway and took the road to Disentis. This was fairly average until I reached Blenio where it became a lot more enjoyable. 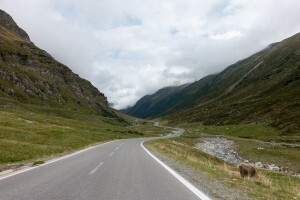 The road from Disentis to Andermatt was also very good too. When planning my road trip, it was really hard to pick which passes I would do. I didn’t have time to do all that I wanted, so had to select the ones I thought would be best, and that fitted in with my route. The Sustenpass was one that made the shortlist, so after filling up with fuel in Andermatt, I headed north. 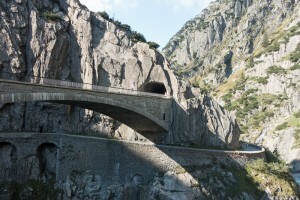 Just outside Andermatt, I went over an imposing bridge called the Teufelsbrücke (Devil’s Bridge). Like many old European bridges with the same name, it is named after an old legend. The myth tells that building the first bridge was so hard the Devil himself agreed to do it, on the condition that he’d get the soul of the first to pass over the span. Since the first wooden bridge was build in this location in 1230, it has been replaced numerous times and the current concrete bridge was built in 1958. I stopped briefly to take a photo, and it was quite daunting to be standing so near to the raging river Reuss below. Not too long afterwards, I was starting my climb up the Sustenpass. 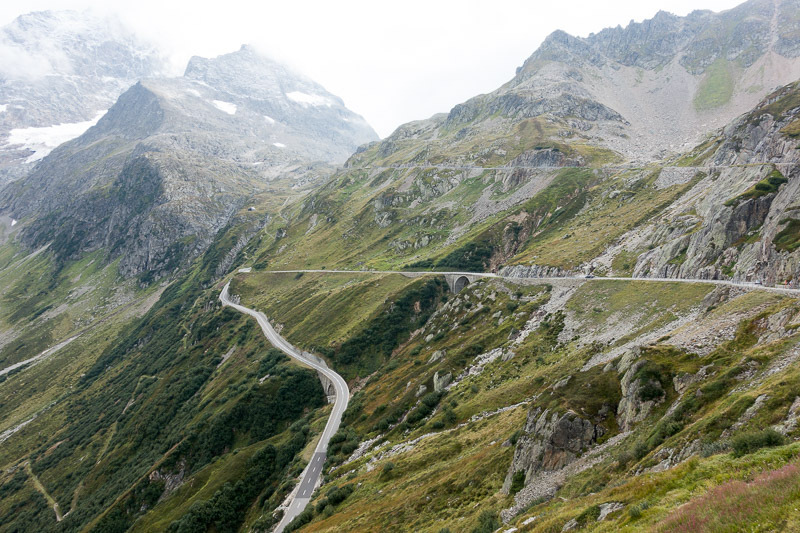 This must be one of the most incredible passes in the Alps, with some flowing, sweeping curves and amazing views. It isn’t for the feint-hearted though, as it is quite exposed in places, with not much in the way of protection if you get it wrong! It is an amazing experience though, driving along a thin sliver of road carved out of the mountain side. I felt pretty sad when I started my descent, as this would be the last pass I would do on this trip. I had considered taking a left turn and going up and down the Grimsel Pass, but it was getting late and I fancied a relaxing beer at the hotel. I headed down towards Innertkirchen reflecting on what an amazing trip I’d had, and vowed to return to the Alps as soon as I could. 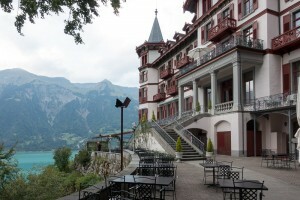 My hotel for my final night was the Grandhotel Giessback, which is perched on the hillside above lake Brienz, with some spectacular views. 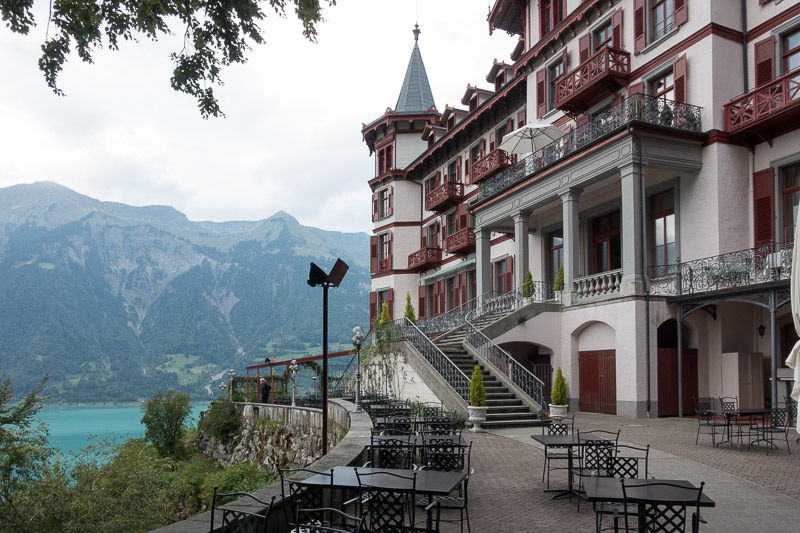 The hotel lives up to it’s name, and even has it’s own funicular railway down to the lake shore – one of the oldest still operating in Europe! 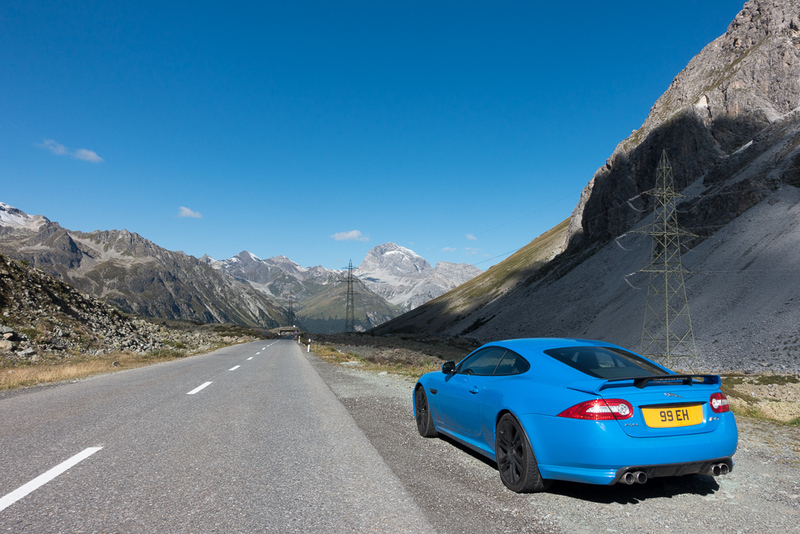 There isn’t much to say about the drive from Brienz back home – it was 500+ miles of mostly motorway driving back to Calais, then the Eurotunnel to Folkstone. 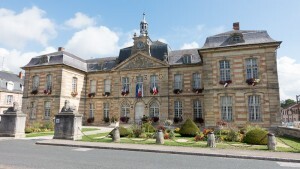 I did however stop off in Reims briefly to round off the trip where it had started, and take one final photo. It felt like a fitting end to this amazing road trip, and as I pulled away from the pits I felt a tinge of sadness that this epic adventure was over. It’s not really possible to write anything interesting about French motorways (other than that they are a joy to drive on – especially compared to the Italian ones! ), so instead I’ll mention a few facts from the notes I took on the way. So just to round things off, the car behaved impeccably and was an excellent choice for this kind of trip. It’s comfortable and quiet on the long and boring motorway sections, and has plenty of boot space for luggage, camera gear and wine. When you get to the fun parts and you nail the throttle, it is a beast of a car! 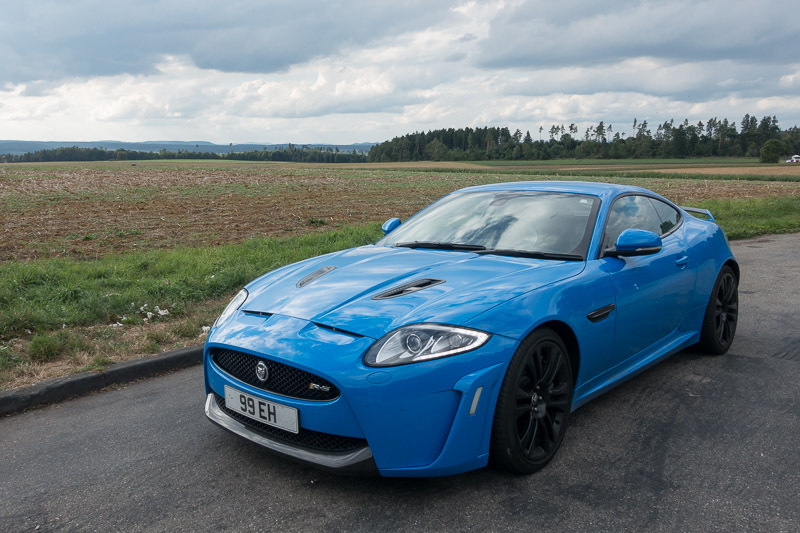 Despite the size and weight, it handles really well, and the 542 bhp gives plenty of excitement. 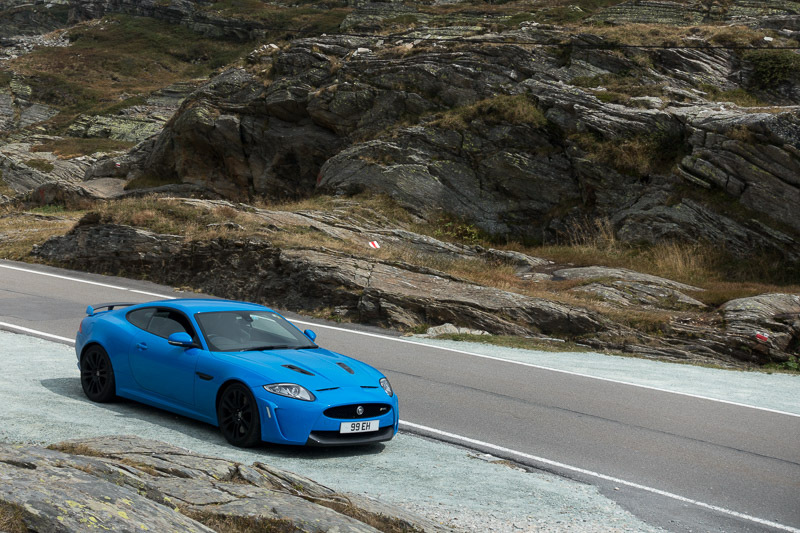 As an added bonus, you get a great acoustic soundtrack when the exhaust note from the 5 litre supercharged V8 bounces off the mountainside. Excellent write up of a fantastic trip. Many thanks , and I hope to be doing the same in September to the amalfi coast. Until recently I had the XJR – same engine I think – awesome machine. Now driving a Guilia Quadrifoglio. That, I think, will be very good in those hairpins… time to start planning!